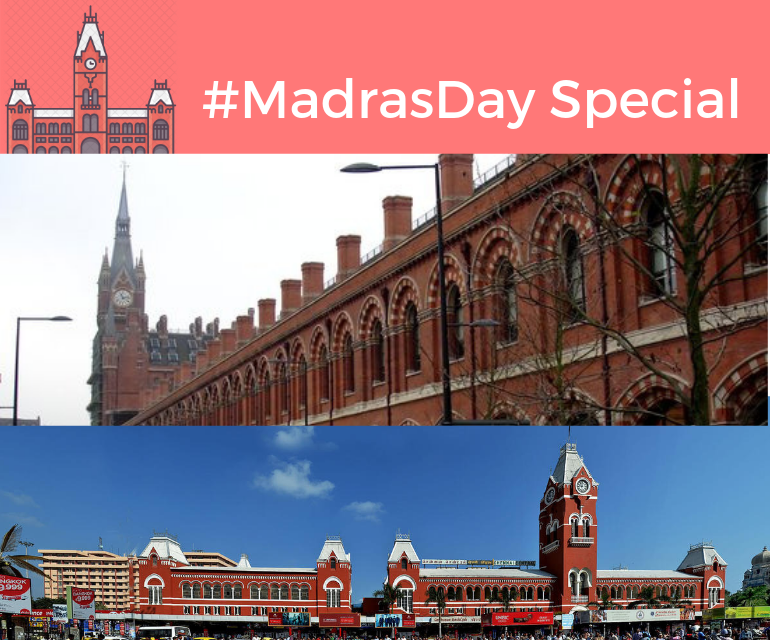 Home » Posts » Madras Day Special: celebrating 7 doppelgangers from Namma Chennai! The greater Chennai corporation. What joy it gives me when I utter those words! This city means the world to lakhs of people who call it home and the thousands who live away. Chennai extended its warm lands to everybody who came and breathed life into them. Like me, countless kids grew up admiring each lane, learning British names the roads were named after; most importantly Chennai was the centre of the world to us. Flying kites on sundays, shopping in the forever busy T-Nagar, riding MTC buses and counting cars, and sadly refusing to go home at the end of long great days spent in the city are some vivid childhood memories associated with Chennai. Today, the city of dreams turns 379 years old and I cannot help feeling nostalgic. Every Chennaite feels the same and holds this land dear. Before you begin to glide down memory lanes, I’d like to give you a fresh stack of travel inspiration. 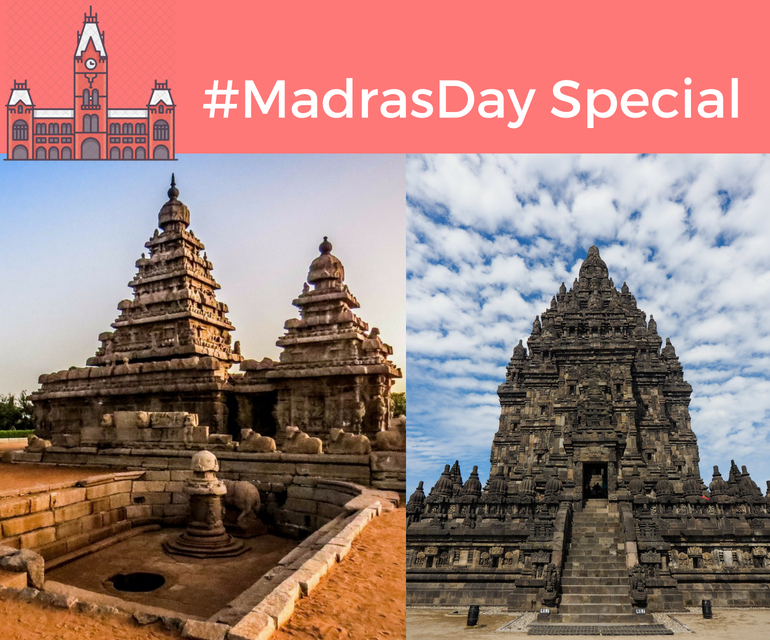 If you are a person who cherishes the city and its legacy, we at Pickyourtrail have summed up all the popular locations we love in Chennai and their foreigner doppelgangers for you. 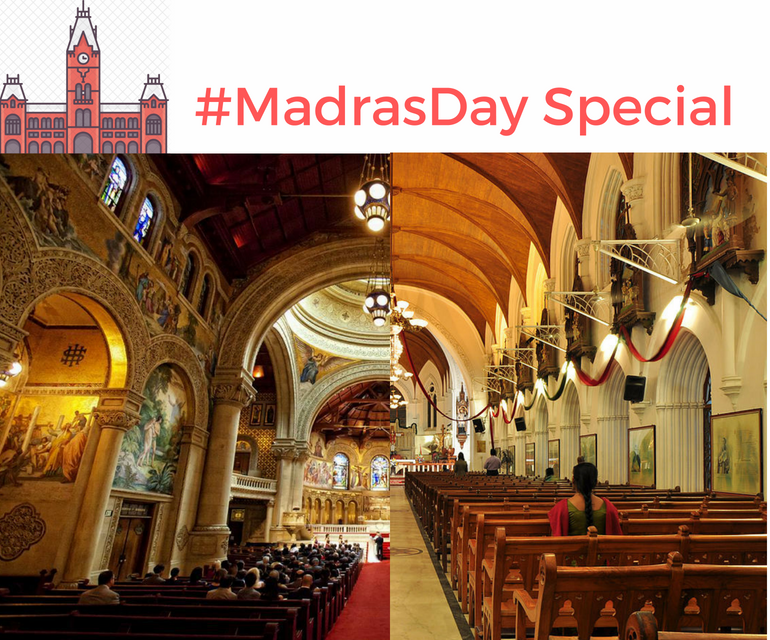 Built to commemorate the memory of St. Thomas, this cathedral is grandeur completely encapsulated in a building. It was constructed by the Portuguese in the 16th century. Gothic architecture seeps through every wall of this church, with steeples rising high in the air. Every time one shuttles past Marina towards the Elliots beach, this cathedral enthrals him/her and it becomes necessary to watch until it passes. One such place that is built in similar ways is Sherborne Abbey Church in Dorset. Similarly, you could also visit St. Mary’s church in Astbury and Stamford Parish church to get a touch of European Gothic architecture and an equivalent amount of gospel. There is nobody in Chennai who hasn’t gone to Mahabalipuram at least once. Watching travellers flocking to this place, taking pictures while you eat sundal(chickpeas) has very much importance here. Some families have going to the temple, sitting at the beach and taking pictures as their idea of the ‘most typical Chennai picnic’. One way or the other, the picture of Mahabalipuram temple against waves is perfectly registered in the minds of residents, religious or not. Prambanan temple is Indonesia’s Mahabalipuram. With a complex of similar temples, this is the largest Hindu temple in the country. Beautiful grasslands surround this temple complex and are serenity spread out far and wide around. Visit this temple to chill by the large ancient man-made rocks and pastures of seclusion. Victoria public hall was built by the British to honour the golden jubilee of Queen Victoria. The first ever drama shows in Madras. 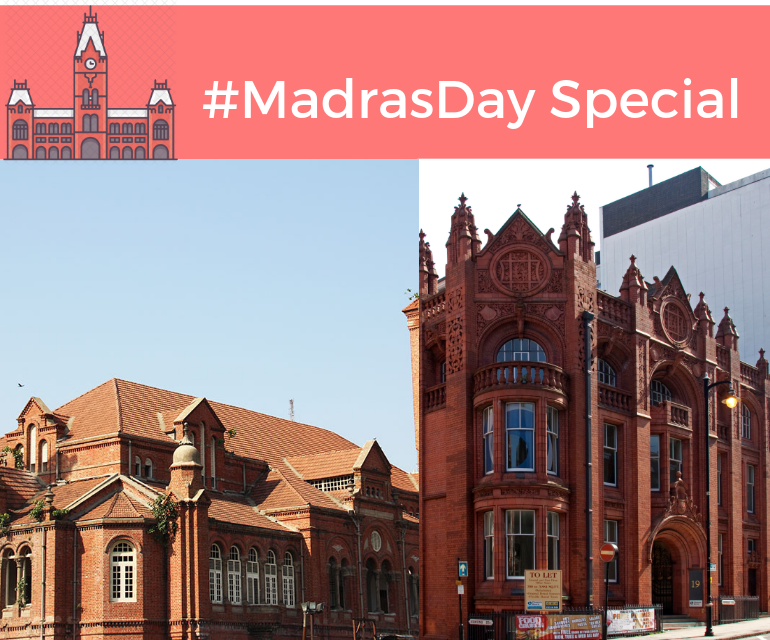 It was the cultural hub for all of the Madras presidency and was constructed to reflect Indo-Saracenic architecture. This beautiful style is mirrored in the Selfridges Building and the Old Royal Public house of Birmingham, England. Fort St. George holds pride as the first ever English fortress that was constructed in India and the place Chennai city was founded upon. It is quite ironic that a whole horde of events lead to British colonisation, which led to the construction of Fort St. George and Chennai, the city that we all love bits was formed. However curious the turn of events, there is no doubt that this mansion has centuries of valuable history etched in its walls. This cornerstone construction was paved in the lines of Georgian architecture(coincidence?). In England, there were similarly designed structures that hold so many stories of their own. 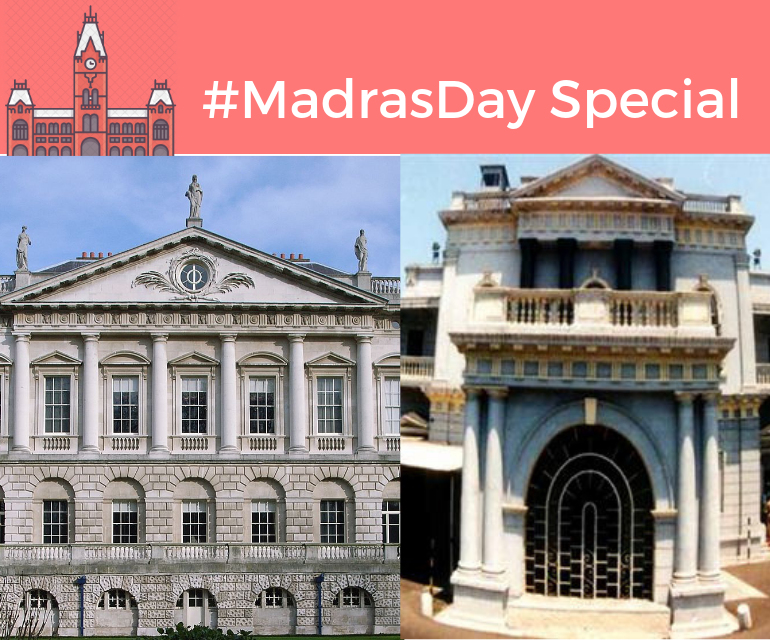 Fountains Abbey and Spencer house in London, for example, are worth visiting to understand the inspirations of Chennai’s most historic building. 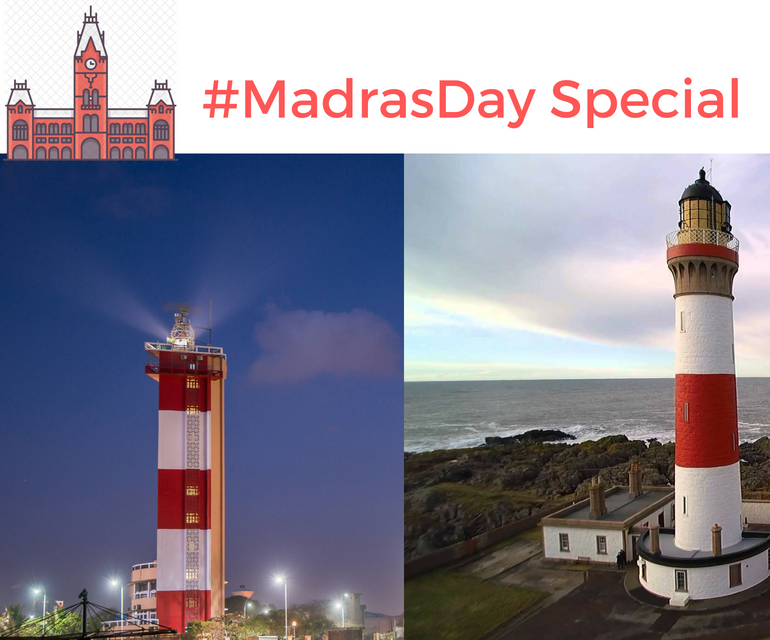 The Madras lighthouse was once the tallest structures built in Madrasapattinam. This magnificent structure served to guide the ships of East India Company to safety. Now, even everyday beachgoers stop for a second to catch that light. Every bajji we had on the shore was in the presence of this lighthouse, which is very special. It is featured in almost every picture taken of Marina and has become a cultural symbol of late. The structure houses a functional elevator and is open to the public. Tarbat Ness Lighthouse in Scotland closely resembles ours so much that it will straightaway give you a feeling of home. Living in Chennai and being a cricket fan are synonymous. No matter what Chennai’s peer cities think of it, they have to agree that as a community they are great supporters of the game. The native stadium is one of the oldest grounds in the world and the crowd one of the best. There are instances when opponents won close matches and the crowd still cheered. It gives me immense pride when I think of all the matches India/Chennai Super Kings won here due to the support they got. If you’re a reader and you do not follow cricket, you should still go to a match at least once. You will know Chennai. Other such stadiums you ask? Sydney Cricket Ground, Melbourne Cricket Ground and obviously, Lord’s Cricket Ground. When trains were the only large form of transport, Chennai Central railway station was laid out by the British. It was one of the busiest routes in India, connect the whole of South India to the rest of the country. Till date, many families rely on this route in order to make a living. The looming building itself is such an emotional one as it was the first image anyone who entered or exited the city saw. Every parent of us would at least have one great story on the station to tell. The place never felt new, even for first-timers; it was a part of us. From there you could get to the beach, or go to Parry’s corner, or just walk and walk bypassing old buildings and travel back in time or just sit there for hours and use the free wifi. Check out St. Pancras International station, London. You will be amazed at the resemblance. Book a ticket to England right now. 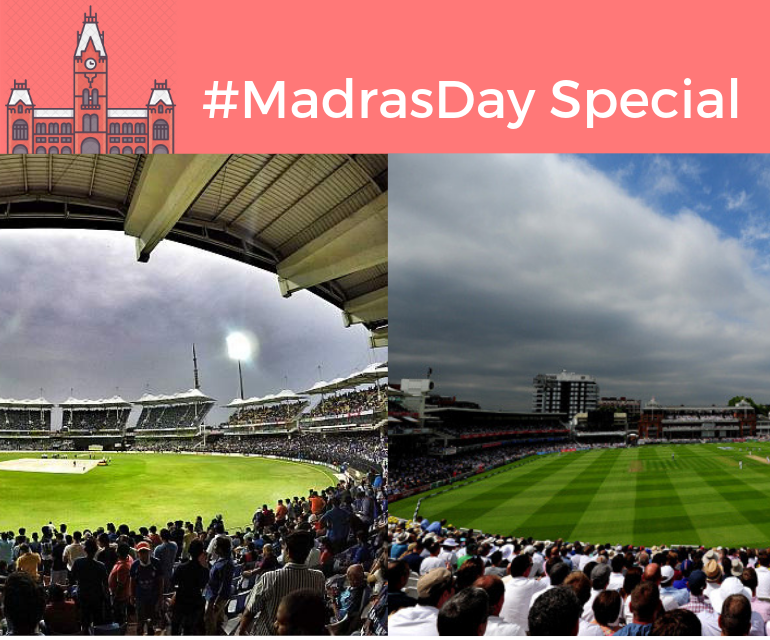 I believe it is not too late to use the phrase ‘Chennai is a city, Madras is an emotion’ now. It is true though in all senses. All sentiments apart, Chennai has come a long way from the day it started out as a lonely seaside village. Art, linguistics(you know what I’m talking about here), industries, technology, education, politics, cinema, sports and civilisation itself started afresh and grew up to great heights in the swathe of the city. It is a pleasure to have come upon this day. It will be a pleasure to come across these historical sites again. Like what you read? Create a customized trip itinerary or Book a trip with Pickyourtrail.